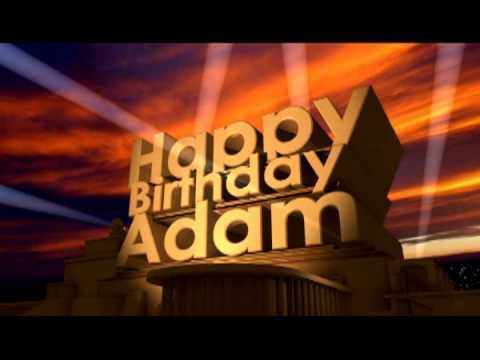 You are here: Home / Uncategorized / Happy Birthday Adam!! Happy 37th Birthday Adam! Lila and Carol, with your fans around the world are wishing you a fantastic year filled with love and happiness! And the fulfillment of your 4th album wouldn’t be too bad either!! How are Glamberts celebrating? Let us know in the comments below! May your special day #AdamLambert be filled with laughter & love and bring you the same kind of joy & happiness that you bring to mine. ??? Happy Birthday Adam, hope you’re having a great day! Happy BD Adam. You are my fave singer…hands down. Love ya! Happy Birthday beautiful baby! Age is only a number and the ever-growing amount of fans you will always have in your life outweigh that tiny little detail. So celebrate a new year and another year of growth, more success, and wonderful things that will always be coming to you.